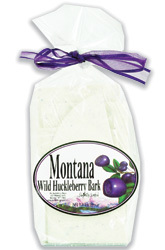 The Wild Huckleberry Crunch is our best selling flavor. It is a delicious mix of caramel popcorn drizzled with wild huckleberry chocolate, and huckleberry popcorn balls. Available in an additional 9 flavors, our high end caramel crunch will satisfy any lover of gourmet treats. We now also have a line of Flavored Dark Chocolate Sea Salt Crunch and a S'mores Crunch ( Irresistible mix of caramel popcorn with marshmallow cream and graham cracker flavor). Why hassle with making fudge and taking up valuable retail space with a production area when you can sell our great tasting fudge conveniently packaged in a 3oz plastic container. 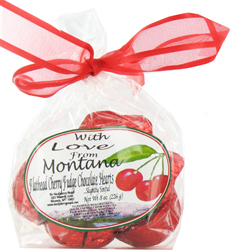 Wild Huckeberry fudge in shape of a heart. A unique gift for that one special person in your life. Also available in blueberry, raspberry, cherry and cranberry flavors.